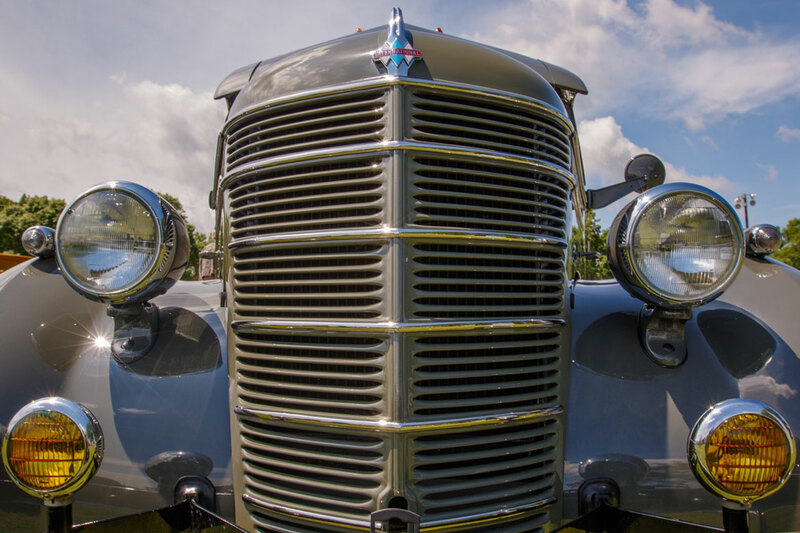 A passion project, this marvel of Art Deco design was faithfully restored to the highest standards over a 9 month period during 2013 – 2014, truly, a ‘frame off’ restoration, every nut and bolt (see all the photos below). Best of Show winner, Best Interior and ‘Midnight Star Award’ (Director’s choice) at the 2014 25th Annual I.H. 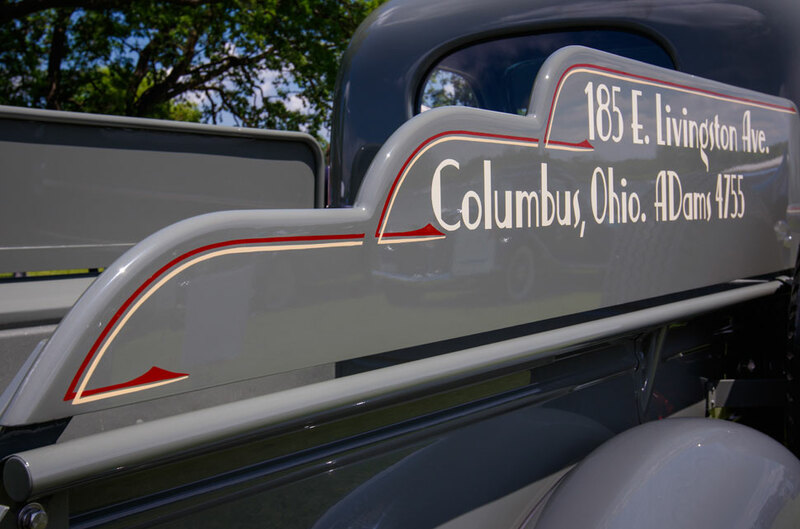 Scout and Light Truck Nationals – Troy, OH. Front door graphics are vinyl and can be easily removed by the new owner. This International D2 was acquired by the current owner in Nebraska in 2013 as a running, driving truck in good condition, if a bit dusty. Upon purchase the owner began an intensive and complete restoration over the next 9 months, work was completed in August 2014. 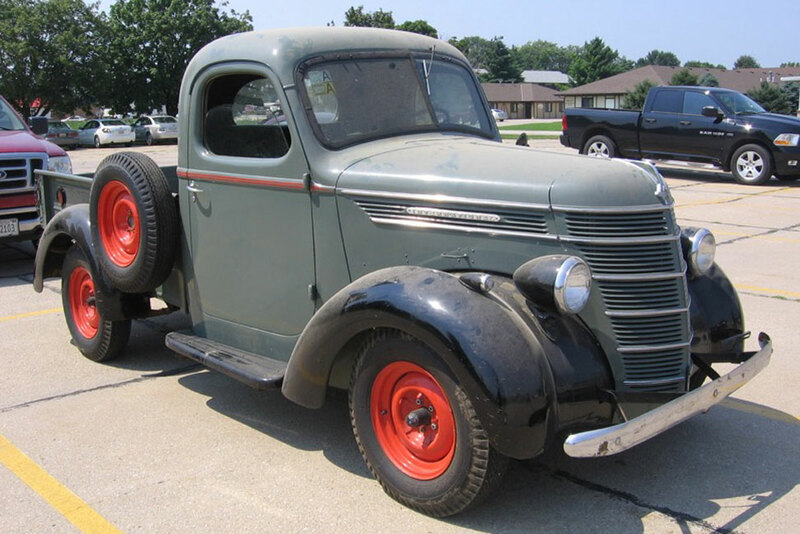 BEFORE Restoration, taken the day the truck was purchased in Nebraska. Custom made aluminum bed sidewall wings. 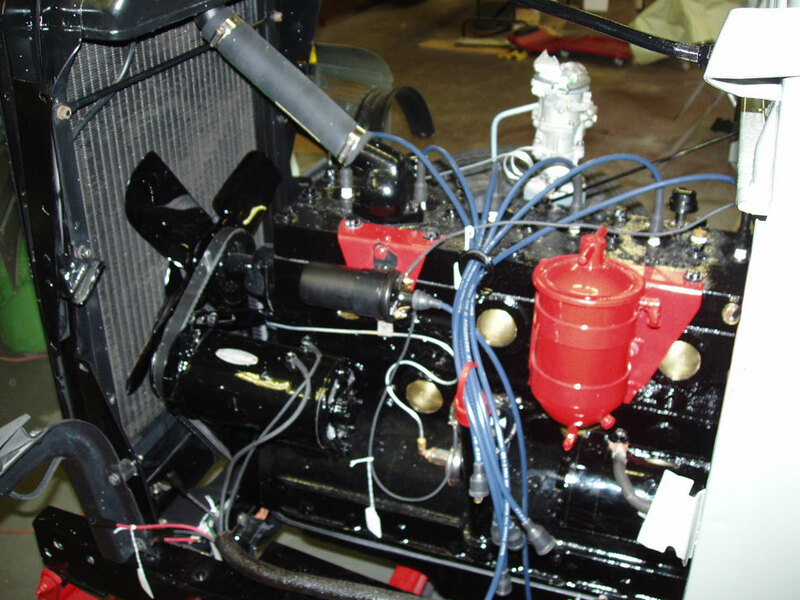 The original engine was rebuilt with new internals (pistons, valves, etc.). 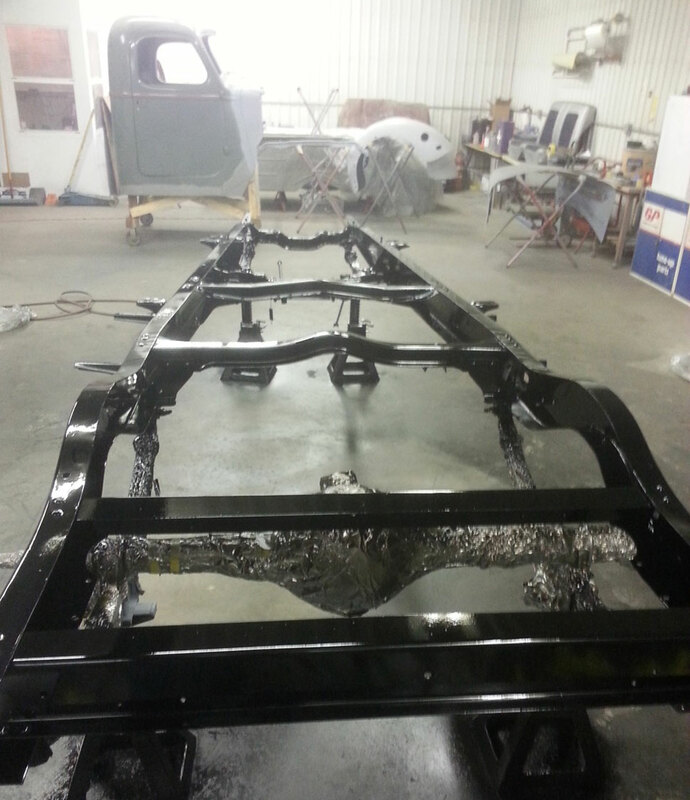 Truck was completely disassembled, from the frame to the body to the electrical, interior, everything was restored, painted, chromed, whatever was needed. All gauges were restored to original and tested. Truck was then reassembled and tuned to factory specification. New braided wiring even contains shielded wire for the taillights as per factory specifications. 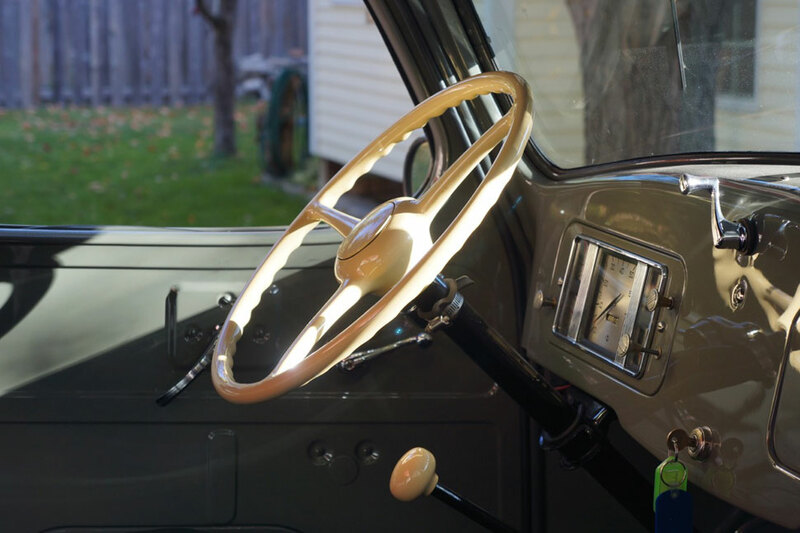 Options include an un-mounted original taillight, right side rear view mirror bracket, a NIB SouthWind gasoline in-cab heater, front fender parking lights and fog lights. 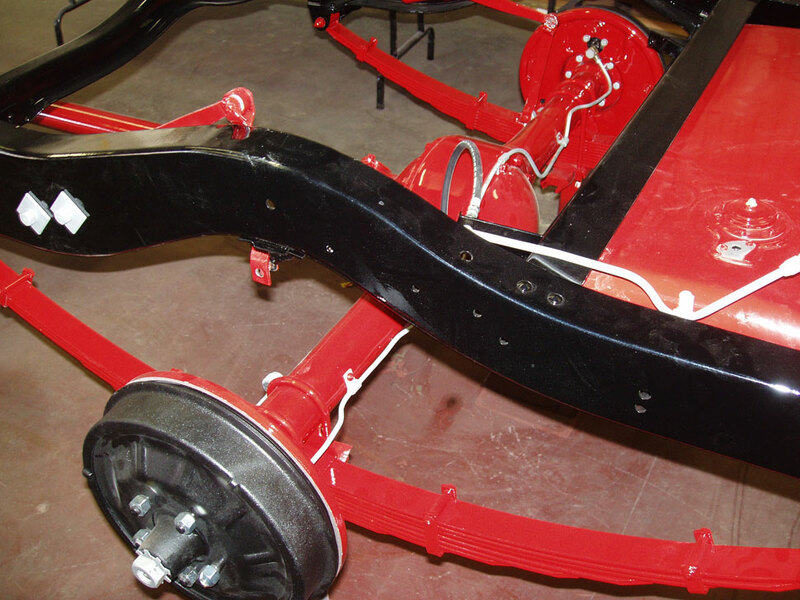 Period turn signals are mounted on the rear bed, control switch is mounted on the steering column. Painted in its original green color with contrasting fenders and IHC Red/Cream pinstripe. The cargo bed has custom made aluminum sidewall wings rather than standard wood stakes. 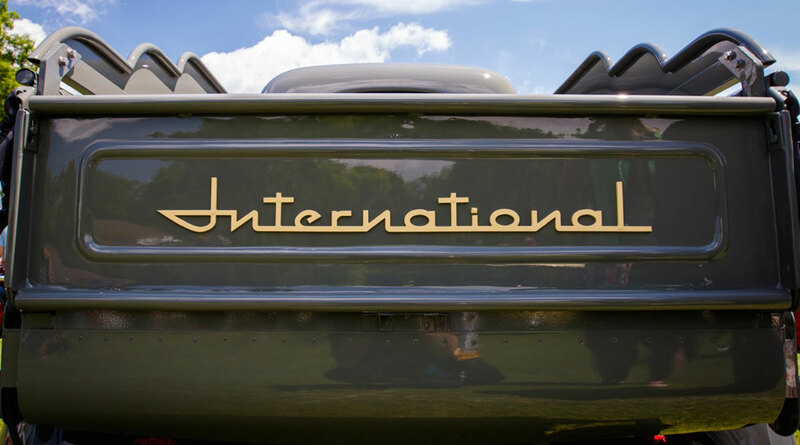 A custom made, painted aluminum, International logo is affixed to the tail gate. Tailgate logo is painted aluminum. In 2014, the truck attended the 25th Annual I.H. Scout and Light Truck Nationals – Troy, OH where it was awarded ‘Best of Show’, ‘Best Interior’ and the ‘Midnight Star Award’ (Director’s choice). 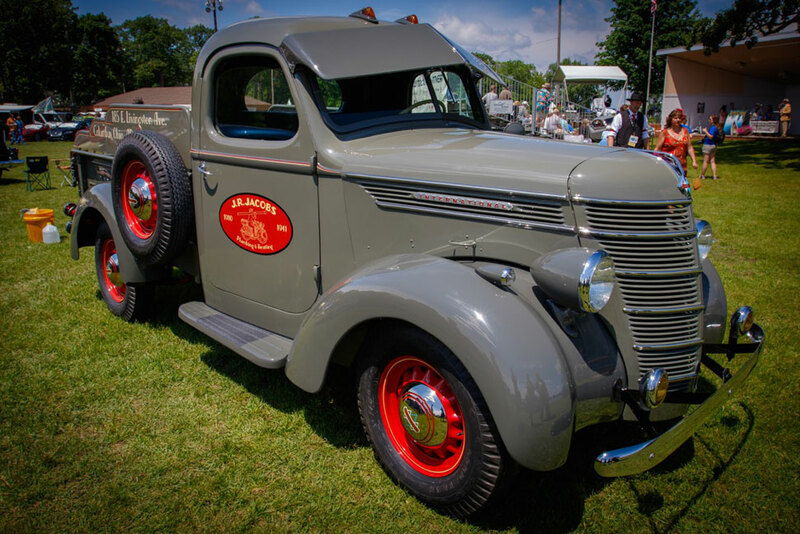 The truck was also featured at the annual IHC Collectors ‘Red Power Roundup’ in Salinas, MO in 2014. 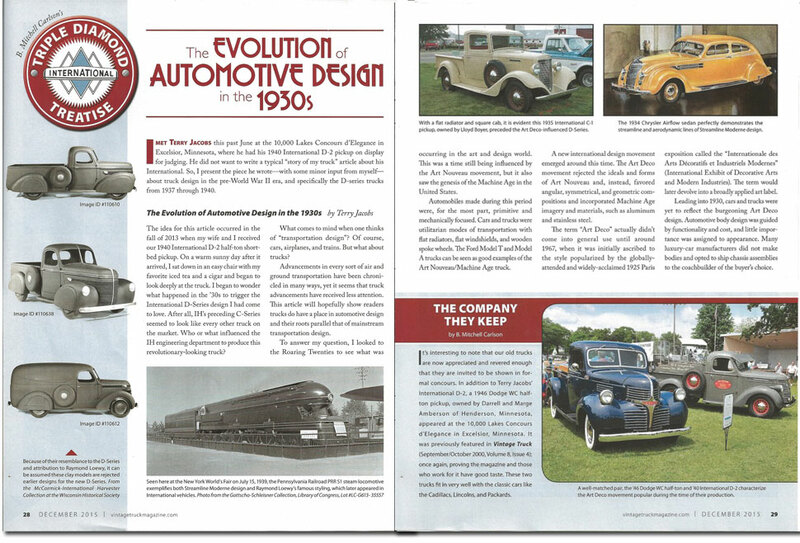 It was also the subject of the article “The Evolution of Automotive Design in the 1930’s” in Vintage Truck Magazine (December 2015). 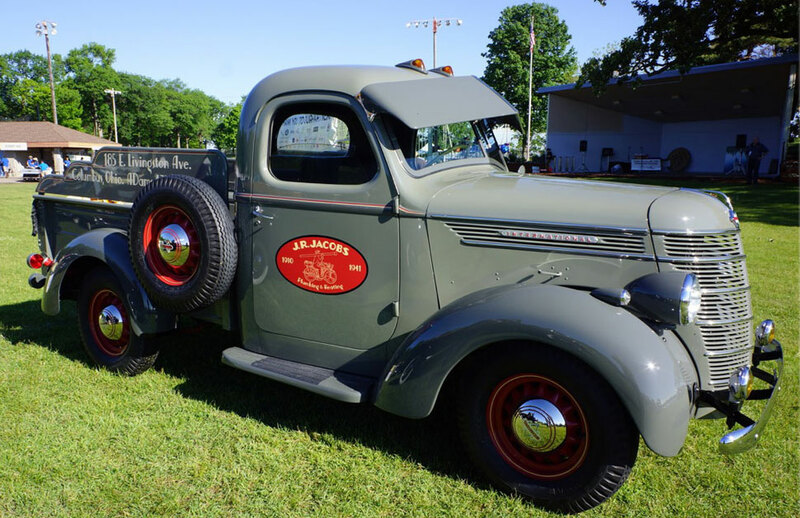 Article from ‘Vintage Truck Magazine – December 2015’ authored by Terry Jacobs and B. Mitchell Carlson. Sale includes period IH sales literature, brochures, bulletins as well as owner’s manual and parts book. During restoration, literally ‘frame off’.